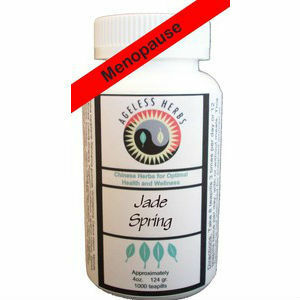 Ageless Herbs Menopause Chinese Supplement is targeted at women going through peri-menopause. It is generally indicated for imbalances in internal organs, like liver and kidneys, irregular bleeding and manifestations of menopause like hot flashes and night sweating. This formula comes as both pills and powders, so you can choose whichever you think will work best for you, or opt for a blend. Based on a combination of herbal extracts, Ageless Herbs Menopause Chinese Supplement is intended as a homeopathic treatment, so results may vary from one person to another. Here is the information we gathered on this specific product. What Does Ageless Herbs Menopause Contain? All the extracts showed above are certified organic, the manufacturer says which is a guarantee in itself for the efficiency of the treatment offered. However, we do not see in this formula well tested and tried herbal extracts like black cohosh and red clover. Since this recipe is based on herbs used by Asian traditional medicine, it may be effective nonetheless. The recommended dosage is eight tea pills taken thrice daily. A bottle with 1000 tea pills is priced at 62USD, which is on the steep side. If taken as indicated, one bottle can last for more than 40 days. The company clearly states that it cannot handle any results. Since this is not an exactly cheap product, you may want to think a bit more before placing an order. Ageless Herbs Menopause Chinese Supplement is based on herbal extracts dedicated to remedying the symptoms of menopause and hormonal imbalance in women. While the product may be effective in treating the symptoms of menopause, it may not be the best you can find out there, especially since there is no guarantee offered and the product is a bit expensive. Jackie Horowitz	reviewed Ageless Herbs	on June 9th	 and gave it a rating of 2.5.